You’ve probably heard about all of these people making a fortune on amazon, well if you want to be one of them you are going to need to find profitable products to sell. 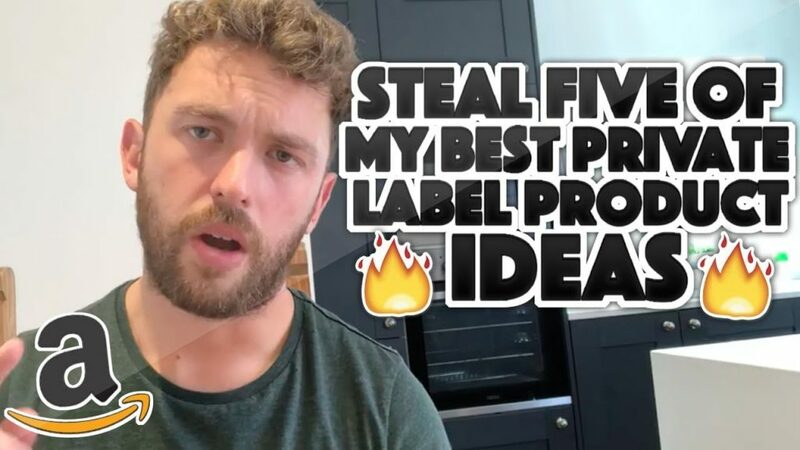 Today i’m going to give you five private label product ideas, you can use these ideas to scale or start up your online business. I will then go on to show you how you can qualify these ideas, that’s right i’m going to give you an easy way to work out your potential profit, on each of these ideas. I’m also going to go onto show you two different bits software i use to qualify my private label product ideas. I have updated this article as previously i used jungle scout. Now i still think jungle scout is a great bit of software but i’ve actually started using something different and my results have been better. Anyway, i’ll talk about this in detail at the end of this article. Before we jump into the private label product ideas, we need to talk about something equally important and that’s branding. Before you take over the world with your products you are going to need to put them under a brand umbrella, this way you’ve got a better chance of building up loyal, life long customers. Any successful private label brand understands the concept of branding, look at Gymshark and Nike, both are private label brands with a huge worldwide reach, you see the name, you know the brand. As a consumer you will usually be happy to pay a little more for a branded product, you naturally feel like you are getting something of better quality. When you build a private label brand, you give yourself the chance to charge a little more for your products. Your customer is buying into the lifestyle, powerful brands provoke an emotional response from their consumers. Ok, so we’ve established that if you want to build a long term business, you are going to need a brand. Now that’s out of the way, let’s dive into these private label product ideas. Here are five of my favorite private label product ideas for 2019, enjoy. 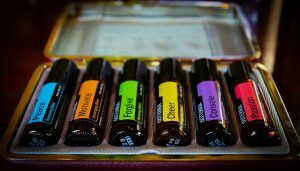 There is a growing demand for essential oils worldwide and it’s no surprise. These oils are widely used in the food and beverage industry, but their importance in the aromatherapy industry is what should be grabbing your attention. According to a markets insider report,The global aromatherapy market is projected to reach USD 8,213.1 million by 2024. The only thing i’d be wary of is the regulation side of things, in the US you’ll need to ensure your products are within regulations set out by the FDA. In the European markets, you will need to ensure your products and procedures are certified under European law. Another great thing about these oils is the fact that the bottles are all going to be pretty small, if you are importing these type of goods, your margins will be improved by the lesser freight costs (That means more in your back pocket). The global warming epidemic doesn’t seem to be slowing down, consumers are becoming more aware of their impact on the environment. 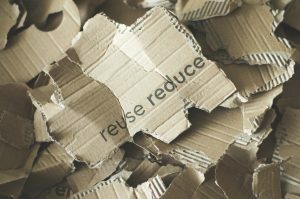 If your product provides a greener alternative to something already out there, you will be one step ahead. Reusable bags are a good example of this, they are becoming more popular with shoppers looking to do their bit for the environment. 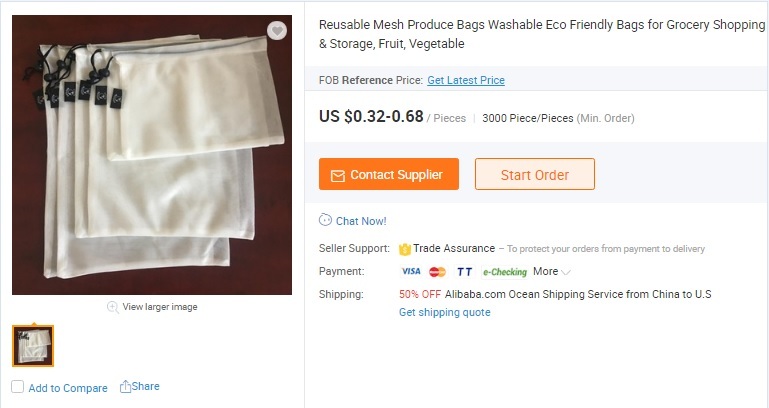 The profit margins don’t look too bad either, i’ve quickly searched “Re-usable shopping bags” on alibaba, look at this result! Before jumping into any new product idea,you will need to make sure you understand all of your associated costs. The majority of suppliers will negotiate, before you go ahead make sure your projected costs include the shipping (To the destination warehouse) and the associated taxes. Reusable cups definitely makes my list for good private label product ideas. Most coffee outlets are now starting to charge customers for takeaway cups, and it makes sense! Disposable coffee cups are choking the environment, over the coming years it’s likely that governments will continue to add tariffs to any disposable products that are harming the environment. Typically disposable cups are made from paper lined with plastic, most recycling facilities are unable to remove this lining. This creates a gap for the saavy entrepreneur, if you can create an attractive Eco friendly brand, you can private label these products and take your share of this emerging market. A report by the National Institute for Health and Care Excellence (NICE) showed that male pattern baldness affects 30% of men under 30, and around 80% of men over 70. Hair loss shampoos and serums have become more and more popular over the last 10 years, the value of the global hair loss treatment market grew by 2.8 billion dollars between 2010 – 2017. Again, this presents an opportunity for the entrepreneur. Growing your own brand of these types of products will be made easier if you can find a reliable, compliant manufacturer. There are plenty of suppliers out there, you just need to take the time to look. Again, you will need to be vigilant on the compliance side of things, the worldwide cosmetic markets have strict regulations worldwide. This is for good reason too, i mean you wouldn’t want to put any old substance on your hair and face. You must ensure that the factory you work with can prove they are compliant, you will need to see copies of their test reports and certification documents. 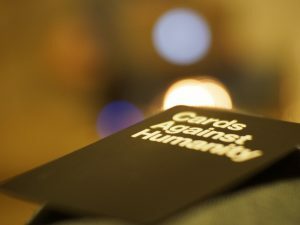 You may have already heard of games like “Cards Against Humanity” and “What Do You Meme?”, well these sorts of private label products are taking the industry by storm. These games are one of my favorite private label product ideas due to the brand equity they hold, i mean no one wants to play a knock off version of Monopoly. The nature of these games means it’s super easy to build up a following of loyal customers. The surge in party game popularity seems to be coming from the 18+ segment of people looking to find something away from their phones. The tabletop gaming industry has grown by 40% since 2012. Technology continues to advance at a rapid pace, getting involved within an industry that takes people away from their phones can only be a good thing in my mind. Do you ever find yourself sitting there staring at your phone, almost like a zombie? I purposely put my phone away for a set amount of time every day. Not all private label product ideas will take off, that is just a fact of life, there are many factors that will effect the success of a product. One thing you can be sure of is the power of branding, if you are looking to build something you can potentially sell in the future you will need a brand. A brand gives you the power to gather up a following of people. Your brand allows you to communicate with your target audience, this is your chance to gain their trust. Cross-selling is easy when you have a brand, but you have to deliver on your promises. If a customer has a positive experience when they purchase your product, they are likely to share this experience with their family and friends, the same is true with a negative experience. If your customer has enjoyed using your product you can bet your bottom dollar that they will consider buying something else from you. Brands that deliver on their promises, build trust with their consumers. Before you build out your brand, have a think about your company message, what type of company is your customer buying into? All of these private label product ideas could take off, but before you jump in you need to ensure that you can make profit. If you are starting out i’d recommend you think about the size of the product, the bigger the item, the higher the cost of shipping. Before you commit to a product, you will need to list out all of the associated costs. I’d encourage you to write out a projection of all associated costs on a piece of paper. When setting your product price, be realistic, look at the worst case scenario. We all have an idea of what we’d like to sell our product at, but you need to have a little bit of room if there is a change in the market. So great let’s assume that you now have a good idea of your profit, but what is the demand looking like? The private label product ideas I’ve mentioned are great, but they are only truly great if you are going to make profit and sell your units. The demand for your item along with the level of competition will determine how many units you are likely to sell, on a monthly basis. For my business i use jungle scout, if you are interested you can read a full review of the software here. i’d recommend that you do this, before you commit to purchasing a product. Before i purchase a product i use the jungle scout chrome extension to size up the competition, if a market looks too competitive i’ll avoid it completely. Make sure you do your due diligence before jumping head first into purchasing thousands of units. Alot of people don’t fully research their product ideas before jumping in, trust me this is a disaster waiting to happen. Alot of people go all in on a product they haven’t researched, the majority of the time they are going to be left with stock they cannot sell. Following on from earlier I’ve actually started using a different bit of software, if you’re looking for a jungle scout alternative it’s well worth checking out. I used jungle scout for years and to be honest i’ve got a lot to thank them for, it’s a great bit of software. I actually signed up to an advanced seller course last year and it’s been incredible for me. The course is suitable for anyone, beginners all the way to the advanced. Anyway, the course introduced me to a bit of software called Helium 10. It has completely changed how we run our business, taking that course was the best decision i’ve made in god knows how long. (Sidenote: You do have to put in the effort to learn how to use it). 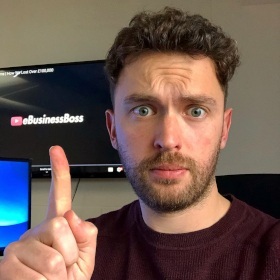 To prove that it’s changed the way we run our business, I’ve written a 5000 word article explain exactly how we use it, check it out below. Anyway, i thought it was only right that i updated this article to show you all what i’m actually using currently! Anyway, back to the original article. Take your time with your product research, don’t jump in before doing all of the necessary research. Do not make the same mistake as me, in the early days my inexperience nearly cost me big time. Hopefully this article has given you some inspiration, remember all brands started somewhere. Look at GymShark, the founders started out hand printing their own t-shirts, and this year they are predicting £100 million in sales. This my friends is the power of branding, GymShark look to be the UK’s answer to nike, and it all started with an idea and a vision. It’s useful to remember that all great things take time, building a brand and a reputable business takes years, not weeks. Once you have carried out your research, take the time to sketch out a plan. Research and planning is the first stage, execution and persistence is the next. I hope you’ve enjoyed this article, if you have any questions let me know in the comments below! Hi Nick, great read. I work within sports retail and it’s interesting to see the trends you have pointed out for other markets. Gymshark have mastered the social media influencer model and it has really benefited them! Luke you are 100% correct. The social media influencer model is the future of marketing in my opinion, it’s about to blow up in a big way! In the coming years, i think more and more of the bigger brands will realise that “attention” is the game, the younger generations attention isn’t where it used to be. I think facebook, instagram and youtube are only going to get bigger.